FINDING AN AFFORDABLE iPhone is practically impossible if you stick to the main series of handsets. Even the iPhone 6, which is now two generations old (having been replaced by the iPhone 6s and, most recently, the iPhone 7), goes for about SIM-free. And that’s if you can actually find it new, among the far more prevalent refurbs. Hope remains with Apple’s smaller 4in models. For minimum expense, there’s the iPhone 5c, which has fallen well below the mark, albeit at the cost of a plasticky build and slow performance. By contrast, the much more up-to-date iPhone SE has nailed pretty much everything: it’s got the build quality, it’s got the processing power and it’s got the camera, all packed into a neat metal chassis. What’s more, on the same day we began work on this group test, Apple announced that the 16GB and 64GB storage options would be replaced by 32GB and 128GB models respectively, addressing our previous criticism that the cheapest model’s capacity was too low. This update is accompanied by price rises, but you’re still looking at a much cheaper proposition than any iPhone 6s or 7. All other hardware remains the same. Weighing 113g and at 7.6mm thick, the iPhone SE is exactly the same size as the old iPhone 5s, and is compatible with the same range of cases and covers. While the SE is the lightest iPhone currently available, it’s actually the thickest of the current crop. This doesn’t particularly matter, as it makes the handset easier to grip, and it means that the camera sits flush with the rear of the case. Besides, overall the iPhone SE is comparatively tiny by today’s standards, slipping easily into any pocket. 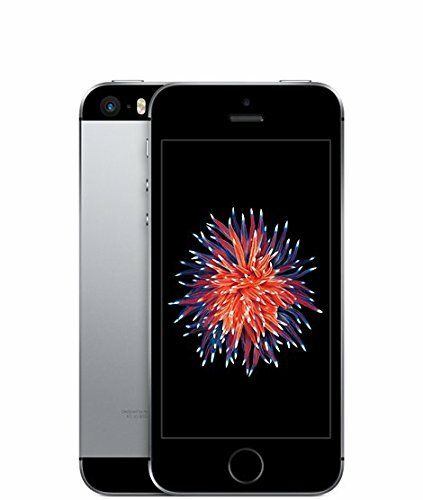 Moving back to a 4in screen, Apple has re-used the iPhone 5s’s resolution of 1,136×640. This is one of the lowest-resolution phones here, not even hitting standard HD, but the pixel density of 326ppi actually matches that of the 2015 iPhone 6s, which has a resolution of 1,334×750. Both phones are definitely sharp enough, and text looks clear and easy to read. Image quality isn’t quite as good as Apple’s pricier iPhones, but the iPhone SE’s screen performs better than stated: Apple claims maximum brightness of 500cd/m2 and a contrast ratio of 800:1, but we measured it at 577cd/m2 with a contrast ratio of 892:1. While this contrast ratio still isn’t great, its color accuracy coverage of 94.6% of the sRGB color gamut goes some way to make up for it. Sadly, the SE doesn’t have the fancy 3D Touch features of recent flagship iPhones, but this cost-saving omission isn’t a deal-breaker as we could still use iOS perfectly well without feeling too hampered. Apple has fitted a 12-megapixel camera into the iPhone SE, the same as in the iPhone 6s. It’s a great all-rounder, ably adapting to most situations to produce well-exposed shots with plenty of detail in them. The HDR mode captures a particularly excellent dynamic range, without over-processing the final shots. There’s also a True Tone LED flash, which measures ambient light then fires the flash at the same colour temperature, reducing the tell-tale signs of a regular flash. You also get all the shooting modes that the iPhone 6s has, including panoramic shots and 4K video. Performance is excellent, thanks to the iPhone SE having the same 1.8GHz A9 processor and 2GB of RAM as the 6s line-up. In Geekbench, the iPhone SE scored 2,550 in the single-core test – the same as the iPhone 6s and faster than the 2,115 scored by the Samsung Galaxy S7. In the multicore test, the S7 takes the lead with a score of 6,437, but that’s a quad-core device: the iPhone SE has a dual-core processor and still scored 4,444. As with all of Apple’s phones, the slick combination of the processor, iOS and Safari makes web browsing a super-smooth experience: the Peacekeeper browser benchmark score of 4,761 is one of the best we’ve seen on a smartphone. The iPhone SE absolutely delivers on battery life, too. Its 1,624mAh battery might sound pretty tiny compared to the 3,000mAh+ batteries found on Android phones, but its smaller screen requires a lot less power. As a result, it lasted an incredible 16h 46m at a brightness of 170cd/m2 in our battery test. This is just shy of the Galaxy S7’s run time, and 1h 48m longer than the iPhone 6s lasted. Since launching with iOS 9.3, the iPhone SE has been updated all the way up to iOS 10.2 – with 10.3 coming very soon, if it’s not out already by the time you read this. This means it’s been able to benefit from third-party integration for iMessage and Siri, redesigned Maps and Music apps and the Memories feature for sorting images in Photos. Apple Pay support remains, though the iPhone SE uses an older TouchID sensor, which isn’t quite as fast or error-proof as on pricier iPhones. As mentioned, the original 16GB and 64GB models have been discontinued, replaced by 32GB and 128GB variants. The price bumps are a shame (bear in mind these are largely the same phones that launched back in March 2016) but otherwise, that’s fine by us; 16GB isn’t much space at all, especially with the lack of expandable storage. Tips, you can easily transfer iPhone files to new iPhone SE with iPhone transfer software, especially when you’re tired of using iTunes.